Whether you’re new to travelling or simply want to learn a few things from the pros, it always helps to have a little manual that can teach you the ways of the wanderlusting explorer—and that’s exactly what this guide is. If you want to kick your holiday up a notch, then here’s a huge collection of tips and tricks that will make your next adventure that much more memorable. To make it easier for you, we’ve split the tips into before, during and after your travels. Planning is an important step in any kind of holiday, so here are some of the essentials that you need to keep in mind before you set off on your holiday. Everyone loves to go on holiday, but you’ll be disappointed if you visit a place that doesn’t suit you. Make sure you do plenty of research and look up places to visit before you actually go. This means looking at travel blogs, asking friends for recommendations and also watching videos on places that you have in mind. Countries are big places with countless things to experience, see and do, so don’t neglect the importance of this step. Find your source of inspiration and fall in love with a destination before booking your tickets. Friends and family don’t always make good travel companions. Sometimes, it’s best to go with friends or with no one at all. You need to be on a similar wavelength to your travel companions because the one thing you don’t want to experience is a divided group. Half of you may want to go on a tour to see a historical site, while the other half of your group may want to just go shopping in a city district. Disputes will always happen on a group holiday, so make sure you travel with like-minded people to avoid arguing. Whether it’s using a reputable low-cost airline such as Frontier or booking yourself into a questionable 2-star hotel, make sure you do plenty of research on all the services you plan to use and also the places you plan to visit. There’s nothing more disappointing than exciting yourself to visit someplace that you read on the internet, only to realize that it’s a tourist trap that doesn’t offer anything unique or interesting. If you have big plans, then make sure you actually plan in advance before you decide to embark on your adventure. Whether it’s trying to book tickets for a unique show that you want to see abroad or a certain time of the year that allows for animal or plan viewing, make sure you plan in advance to avoid potentially being disappointed. This will require some research and internet browsing, but it’s better than showing up to your dream city only to have your excitement crushed by disappointing developments. 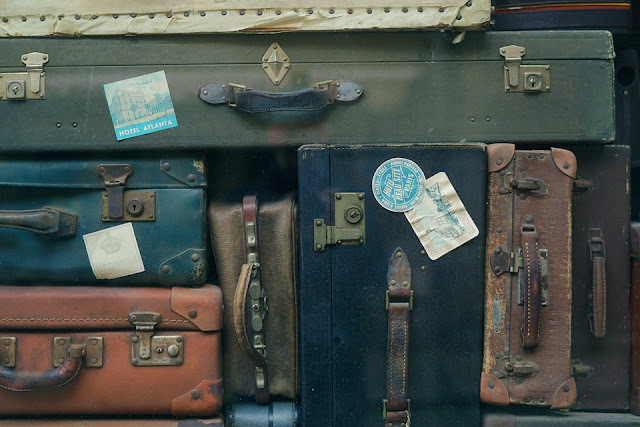 It’s important not to pack your bags too tightly, but it’s also important not to carry too few items. Make sure you carry plenty of safety equipment to stop yourself from getting into a bad situation. It could be some medication that you need for a condition you have, or it could be a power converter plug to ensure that you can use your laptop while in another country. Either way, it’s important not to miss a single thing on this step and pack properly so you have everything you need to survive an exciting holiday. Now that you’ve arrived, you’re probably in unfamiliar territory, tired, jet-lagged, and probably extremely hungry. Here are a couple of tips to keep in mind for when you’ve just landed in a new country (aside from taking a selfie and sharing it). It’s important to remember that sleep is essential no matter where you are on earth or how excited you are to be abroad. Overcome your jet lag by getting plenty of rest and resetting your internal clock to adjust to the new time zone. There’s no real treatment for jet lag, so it’s going to take a bit of rest, some food and relaxation. This usually isn’t something that you need to concern yourself with if you’re only travelling a short distance, but if you’re doing a long-distance flight, then you’ll just have to get used to the difference in time zones. When you arrive at a new country, try and embrace the culture and traditions. For example, if you’re required to eat with chopsticks because the local food stands don’t offer other types of cutlery, then it might be worth learning how to use them before you travel. This is similar to planning, except you’ll be putting your planning to the test by trying to embrace new culture and traditions instead of rejecting it. Instead of chasing other tourists and visiting the same attractions they do, veer off the regular path and try to find something unique. Don’t follow the crowds of people that you’ll see. Instead, make friends with the locals and try to find out where their favourite spots to eat, hang out and play are at. If you’ve done plenty of research on your holiday destination, then there’s a good chance that you’ve found plenty of lesser-known attractions to visit that can be worth every moment of your time. You most likely have your phone with you, so why not use the camera function to record your precious memories? It doesn’t take long to snap up a few pictures or record a video, and they can be great memories to keep when you finally arrive back at home. It helps to have a smartphone with a large battery so that it doesn’t run out, but bringing a dedicated camera is also acceptable for the better image quality and storage space. If you’re in the market for a new smartphone, then take a look at a smartphone camera comparison website to get all of the details you’ll need. And of course, we can’t forget to bring back home some souvenirs. It could be boxes of exotic snacks and sweets, or it could be a shirt with a unique design. Depending on where you’re visiting, you can bring a whole host of funny, interesting and unique gifts back home to save as keepsakes or hand out to your friends and family. Now that you’re finally home, here are a couple of tips that will help you round out the holiday and end it on a good note. If you had to take time off work for your holiday, then book one extra day off so you can spend it relaxing. You’re going to be exhausted from all the travelling, and you also need to ensure that you’re fixing your jet lag so you can be ready to fit back into your regular schedule. If you took plenty of pictures during your travels, then remember to upload them to social media or a blog and write about it. 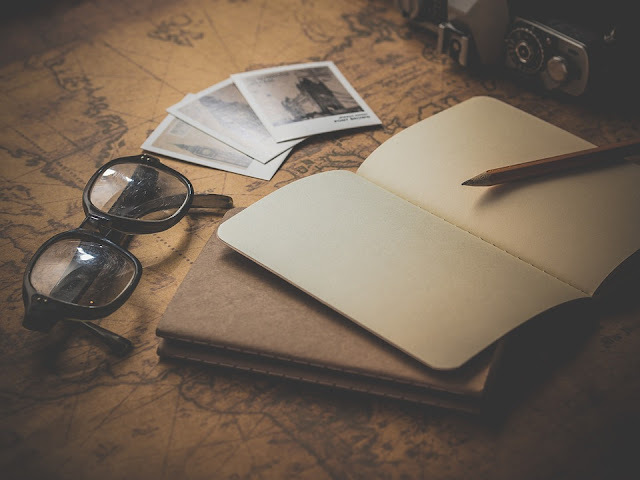 Share your adventures with friends and family members, write about it on your blog or in detailed Facebook posts on your wall, and show off some of the souvenirs that you brought home. Don’t worry about making other people envious, just use social media or your blog as a way to recollect your thoughts after a successful holiday. Social media isn’t the only outlet that you should use to share your holidays. If you travelled on your own or with a small group, then talk about it with your friends and family. The next time you catch up with relatives over dinner, you’ll have a topic to speak about. No holiday is perfect, so you’ve probably thought about a couple of things that you would change the next time you visit the same country. If you loved it a lot, then you’ll probably want to go back to experience different things, or to indulge in the same pleasures and entertainment that you had before. If you want to make your next holiday just as successful or even better, then think about what you’d change or do differently. And of course, you can start planning for your next holiday. Perhaps you can take a different group of friends or maybe you can expand the group to include more people. Maybe you’ll want to pick a different location, or perhaps you’ll settle for the same city just in a different hotel. Whatever it is, give yourself another holiday to look forward to.